Oh, that is like the best stuffie EVER. You're not a destuffer, are you? I bet you're not. Hey,so you are black, then? I always sort of thought you were dark chocolate. In some photos you look black and in others you look like you have some brown. Either way you're a handsome guy. Just wondering. Stay cool! I know I'm trying to. 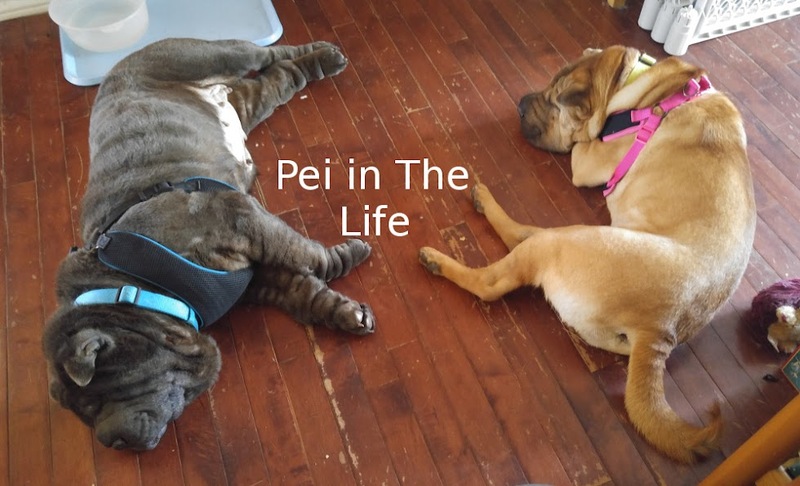 A stuffie pei... how nice!!!... Hope you won't unstuff it, Bolo... I bet puppy would like to sleep with it. Stay cool!! It's beastly outside. What the heck? Is that supposed to be your own puppy? Doesn't look very lively.